One finds something essential with Japanese traditional instruments, and it is“ sawari”“. Sawari” is the intimacy to the nature as compared to the voices of cicadas in the sense that their tunes are heavily complex almost like a noise but they blend well with variety of natural sounds. Other tunes of “sawari” are, for example, a clear click of a wind-bell or a profound bell of temples that brings us the sense of beauty and emptiness of life as well. 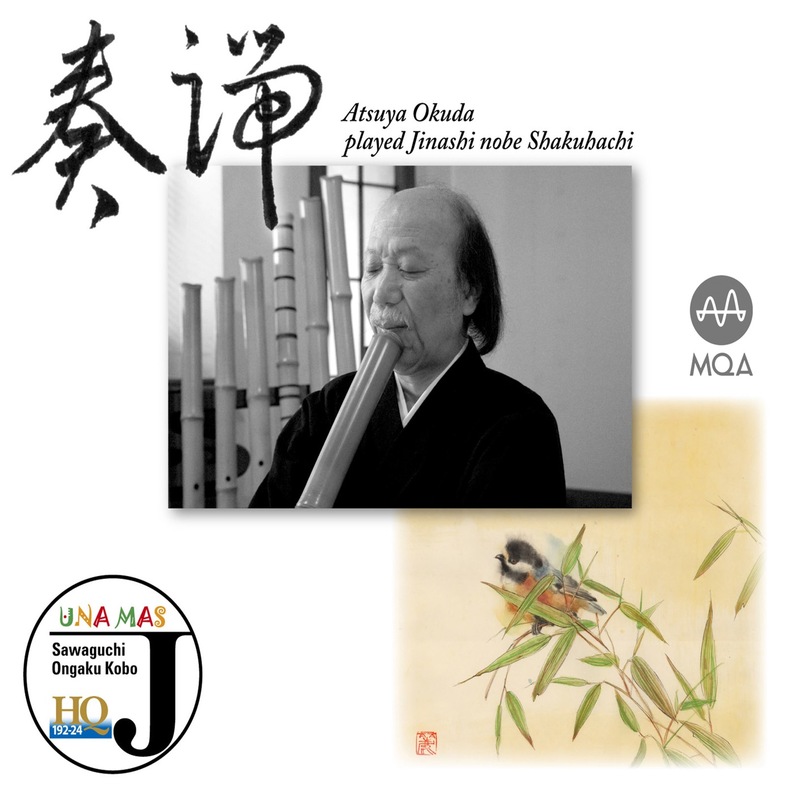 The fascinating character of“ Hocchiku” instrument, Jinashi-nobe Shakuhachi by definition, used in this recording is its deep softness featuring“ sawari”. Two-piece, Jiari Shakuhachi that is most commonly popular today is the result of pursuing the sound pitch and volume suited for ensembles at the sacrifice of tones. The natural form of Hocchiku is rich with“ sawari” bringing the tone of distance that we Japanese continued to be particular with. The slower rise of notes and extremely fine, subtle sounds are interestingly quite audible. Inverse proportional to the sound volume, the taste and profoundness of its tones are even more vivid.